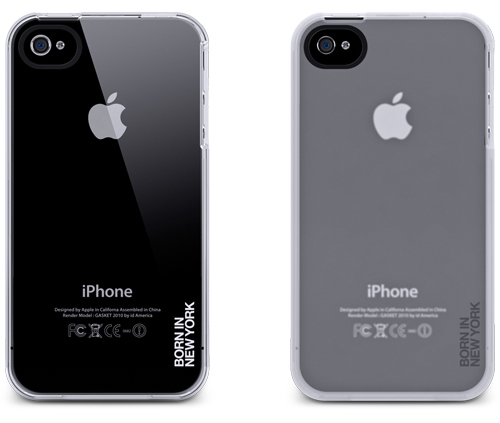 id America has just released two new cases for the AT&T and Verizon iPhone 4 called the Ice and Dryice. Try to say that thrice. Both are two-piece hard polycarbonate cases that provide back and front protection with lay-on-the-table front design. The Ice case has a crystal clear finish while the Dryice case has a frosty finish with a soft silicone coating for better grip. The Ice and Dryice cases for the iPhone 4 are available now for $19.99.